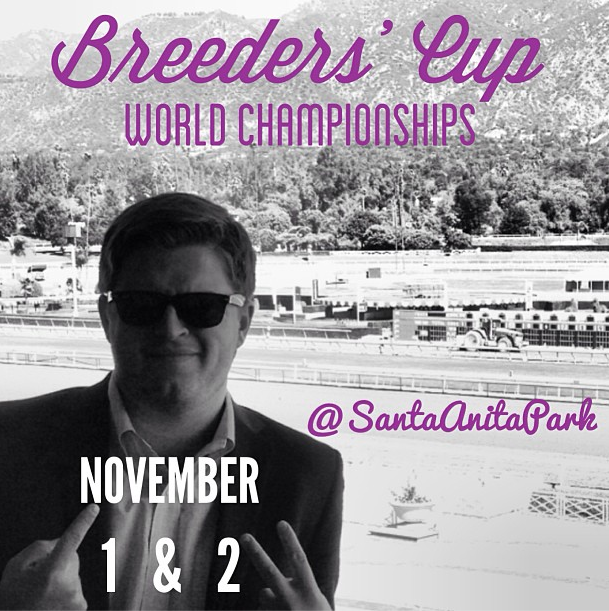 We are only about three weeks out from the Breeders’ Cup World Championships at Santa Anita Park on November 1-2. Yesterday Ken and Sarah Ramsey’s Kitten Kaboodle took the G3 JP Morgan Chase Jessamine Stakes at Keeneland to gain a spot in the Juvenile Fillies Turf on November 1. One Breeders’ Cup Challenge race remains, which is Sunday’s G1 Nearctic Stakes at Woodbine, a “Win and You’re In” for the Turf Sprint. 4:45pm (EDT) $500,000 BC Marathon (G2); 3&up, 1 3/4m, Dirt. 5:25pm (EDT) $1,000,000 BC Juv. Fillies Turf (G1); 2yo, f, 1m, Turf. 6:05pm (EDT) $1,000,000 BC Dirt Mile (G1); 3&up, 1m, Dirt. 6:50pm (EDT) $1,000,000 BC Juv. Turf (G1); 2yo, 1m, Turf. 7:35pm (EDT) $2,000,000 BC Distaff (G1); 3&up, f/m, 1 1/8m, Dirt. 3:05pm (EDT) $2,000,000 BC Juv. Fillies (G1); 2yo, f, 1 1/16m, Dirt. 3:43pm (EDT) $2,000,000 BC Filly & Mare Turf (G1); 3&up, 1 1/4m, Turf. 4:21pm (EDT) $1,000,000 BC Filly & Mare Sprint (G1); 3&up, 7f, Dirt. 5:05pm (EDT) $1,000,000 BC Turf Sprint (G1); 3&up, 6.5f, Turf. 5:45pm (EDT) $2,000,000 BC Juvenile (G1); 2yo, 1 1/16m, Dirt. 6:25pm (EDT) $3,000,000 BC Turf (G1); 3&up, 1 1/2m, Turf. 7:05pm (EDT) $1,500,000 BC Sprint (G1); 3&up, 6f, Dirt. 7:42pm (EDT) $2,000,000 BC Mile (G1); 3&up, 1m, Turf. 8:35pm (EDT) $5,000,000 BC Classic (G1); 3&up, 1 1/4m, Dirt. *By clicking on the link to each race on the Breeders’ Cup website, you can see which horses have won given Breeders’ Cup Challenge Races and earned their spot in the Breeders’ Cup 2013. Last year’s Breeders’ Cup Classic Winner Fort Larned looks to defend his title in 2013.